Every medical device sold into Europe, irrespective of its classification, must have an up-to-date Clinical Evaluation Report (CER) as part of its Technical File. Although guidance is available on the requirements for clinical evaluation, it is not comprehensive. 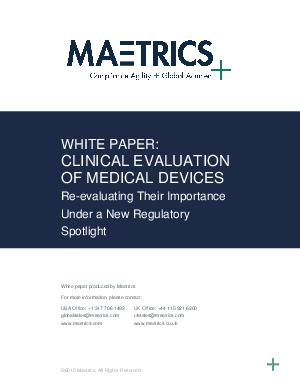 This lack of clarity has led to varying approaches to the CER process by manufacturers and Notified Bodies (NBs), resulting in uncertainty for manufacturers as to whether their CER procedures will be considered compliant and their medical devices adequately supported.